CEO & Chairman, Board of Directors, ASSIA Inc.
Abstract: 5G networks emerge through leverage of unlicensed frequency spectra. A stunning eighty percent of today’s internet data traffic is off-loaded to Wi-Fi, which in turn is largely backhauled by copper or fiber access technologies. Fifth generation networks will be based on a convergence of mobile and fixed technologies through this Wi-Fi hybrid of mobile and fixed access. This talk will examine these trends and explore technological evolutionary steps and challenges that may well define the true emergence of high-speed internet connectivity reliably to all future internet data consumers. 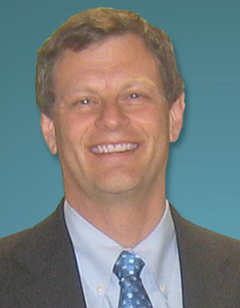 Biography: John M. Cioffi - BSEE, 1978, Illinois; PhDEE, 1984, Stanford; Bell Laboratories, 1978-1984; IBM Research, 1984-1986; EE Prof., Stanford, 1986-present, now emeritus. Cioffi founded Amati Com. Corp in 1991 (purchased by TI in 1997) and was officer/director from 1991-1997. He currently also is on the Board of Directors of ASSIA (Chairman and CEO), Alto Beam, and the Marconi Foundation. Cioffi's specific interests are in the area of high-performance digital transmission. 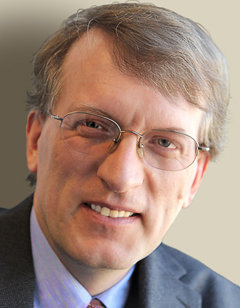 Cioffi is the recipient of the IEEE’s Alexander Graham Bell, Kirchmayer, and Millenium Medals (2010, 2014, and 2000); Member Internet Hall of Fame (2014); Economist Magazine 2010 Innovations Award; International Marconi Fellow (2006); Member, US National and UK Royal Academies of Engineering (2001, 2009); IEEE Kobayashi and Armstrong Awards (2001 and 2013); IEEE Fellow (1996); IEE JJ Tomson Medal (2000); 1991 and 2007 IEEE Comm. Mag. best paper; and numerous Conference Best-Paper awards. Cioffi has published over 600 papers and holds over 100 patents, of which many are heavily licensed including key necessary patents for the international standards in ADSL, VDSL, vectored VDSL, G.fast, DSM, LTE, and various Wi-Fi methodologies. Abstract: Mobile communication systems have been evolved from the 1G analogue cellular systems launched in 1979 to today’s 4G LTE/LTE-Advanced. LTE has become the mainstream of mobile technologies and discussions on 5G have been active, targeting the launch in 2020. We observe the difference in the status of 5G today from that of 4G in the same early stage of standardization. There was a concrete concept and technology for 4G in early 2000s, while no one liked to use the term ‘4G’. Today, there is no single technology representing 5G, while everyone talks about 5G. This comes from the difference in the balance between technologies and business models. We also see some myth and misunderstanding about 5G; 5G requires new dedicated spectra, 5G is the millimeter wave technology, 5G is just a hot spot system for complementary use and the like. We have the challenge to realize wide coverage cellular systems even with higher frequency bands. Although there is no single representative 5G technology, there are several promising technology candidates, and their combinations will create new advanced features. With such combinations, things that are considered impossible today will be achieved in the 5G era and then everyone will come to understand that the cellular systems will provide cost-effective and flexible solutions with wide coverage even on higher frequency spectra with broader bandwidths. In the talk, the current status of 4G is presented first. Next, the history of mobile system evolution is reviewed to discuss the future trends. Then, the 5G technologies, requirement analysis and experimental trials are described. And finally, the ambition and prediction for longer term trends of technology convergence or divergence after 5G and 6G are discussed. Biography: Seizo Onoe was named Chief Technology Officer and Executive Vice President and a Member of the Board of Directors in June 2012. Mr. Onoe became a Senior Vice President and Managing Director of the R&D Strategy Department in June 2008. He was a Vice President and took positions as Managing Director of the Radio Access Network related development departments from July 2002 to June 2008. He has been responsible for leading initiatives in the research and development of the analog cellular system, the digital cellular system, W-CDMA/ HSPA, LTE, LTE-Advanced and 5G. He is working on the research and development of radio access networks, core networks, consumer devices and cloud services. 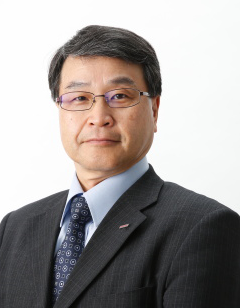 He has worked for NTT and NTT DoCoMo since 1982, acquiring more than 30 years of experience. Mr. Onoe has a master’s degree in electronics from the Kyoto University Graduate School of Engineering. Abstract: The Internet of Things (IoT) is often seen as the safe prediction for the next big Internet disruptor. What makes the Internet of Things unique from a networking and security perspective? What are the challenges in terms of data traffic, spectrum, naming and numbering? How can we avoid building an Internet of Things that seems to mainly solve "toy" problems? What kind of standards are needed to allow re-use of sensors and actuators beyond a single smartphone app? I will try to show that there is no single Internet of Things, but rather overlapping models that pose different challenges, with computing and storage moving back-and-forth between edge and core networks. IoT also exposes many of the long-running challenges for other Internet services and applications, such as automating configuration and management, ensuring reliability, and usable security. Biography: Prof. Henning Schulzrinne, Levi Professor of Computer Science at Columbia University, received his Ph.D. from the University of Massachusetts in Amherst, Massachusetts. He was an MTS at AT&T Bell Laboratories and an associate department head at GMD-Fokus (Berlin), before joining the Computer Science and Electrical Engineering departments at Columbia University. He served as chair of the Department of Computer Science from 2004 to 2009, as Engineering Fellow at the US Federal Communications Commission (FCC) in 2010 and 2011, and as Chief Technology Officer and Technical Advisor at the FCC from 2012. He is a Fellow of the ACM and IEEE, has received the New York City Mayor's Award for Excellence in Science and Technology, the VON Pioneer Award, TCCC service award, IEEE Region 1 William Terry Award for Lifetime Distinguished Service to IEEE, the UMass Computer Science Outstanding Alumni recognition and is a member of the Internet Hall of Fame. Abstract: Today’s fixed, mobile and things Internets allow us to transmit files, voice and video across the planet. With the emergence of an ultra-responsive & reliable Tactile Internet, advanced techniques in robotics and artificial intelligence, we predict the emergence of an Internet of Skills which allows the transmission of labor globally. It will invoke an important shift from content-delivery to skillset-delivery networks, where engineers would service cars or surgeons performing critical operations anywhere on the planet. For this to work however we require some fundamental laws of physics to be “reengineered”. This keynote is all about the disruptive technology approaches which will allow us to break through this next tech frontier. Biography: Mischa Dohler is full Professor in Wireless Communications at King’s College London, Head of the Centre for Telecommunications Research, co-founder and member of the Board of Directors of the smart city pioneer Worldsensing, Fellow and Distinguished Lecturer of the IEEE, and Editor-in-Chief of the Transactions on Emerging Telecommunications Technologies and the EAI Transactions on the Internet of Things. He is a frequent keynote, panel and tutorial speaker, and has received numerous awards. He has pioneered several research fields, contributed to numerous wireless broadband, IoT/M2M and cyber security standards, holds a dozen patents, organized and chaired numerous conferences, has more than 200 publications, and authored several books. He has a citation h-index of 41. 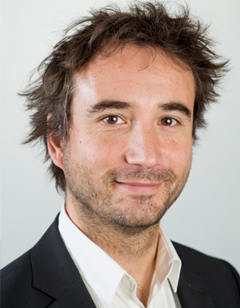 He acts as policy, technology and entrepreneurship adviser, examples being Richard Branson’s Carbon War Room, House of Parliament UK, UK Ministry BIS, EPSRC ICT Strategy Advisory Team, European Commission, Tech London Advocate, ISO Smart City working group, and various start-ups. He is also an entrepreneur, angel investor, passionate pianist and fluent in 6 languages. He has talked at TEDx. He had coverage by national and international TV & radio; and his contributions have featured on BBC News and the Wall Street Journal. Abstract: In the new digital economy where every business is becoming digital business, the ever enriched human communication experiences have been much accelerating in recent years and represented by 4K HD video, VR/AR and IoT across both consumer and industry space. Historically, telecom business has been largely limited to traditional voice services and simple data bandwidth consumption model which are no longer sustainable. The digital economy is fundamentally about openness, collaboration and sharing through ecosystem. The main challenge in telecom industry today is the business transformation to create new value propositions in the rapidly emerging digital ecosystem. Architecturally, such business transformation requires carriers to become a platform player, i.e., building out cloud-based and big-data-driven infrastructure platforms, which are overlaid across new and existing CT and IT products in networks and data centers through the migration of abstraction, decoupling, programmability and software-defined. This talk will give a brief overview of how Huawei has been developing and committed to three open ecosystem partner programs for the purpose of embracing the carrier transformation from box-driven to platform-oriented. Further, we will cover the five major platform initiatives, which has been mainly invested by Huawei in recent years, to directly address the core of carrier business transformation, i.e., cloud network, IoT, video, ICT infrastructure and digital operation. Biography: Dr. Li currently serves as CTO of Products and Solutions at Huawei. 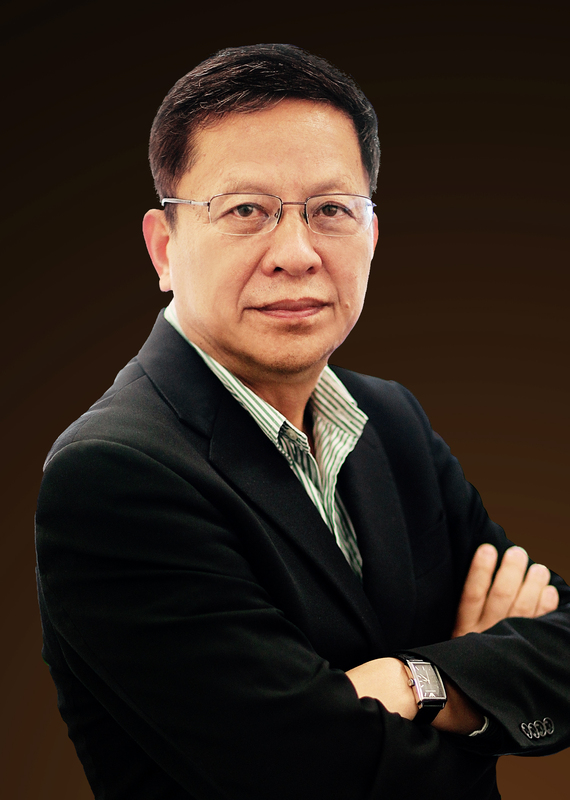 Prior to this, Dr. Li served as CTO at Carrier Network Business Group, IT product line and Core Network product line as well as the president of Data Center & Media Network business unit. Before joining Huawei in 2009, Dr. Li held several senior leadership roles and served as a full-tenured professor at ECE department, University of Texas, Austin in US. He co-founded high-tech companies such as GaoHong Telecommunication Technology Inc. in China (acquired by Datang Telecom Group in 2000) and Santera Systems Inc. in US (acquired by Tekelec in 2003) and also co-led and architected original spin off of Santera Softswitch to form Spatial Wireless (acquired by Alcatel in 2004). In 2003-2007 he served as CTO at Tekelec. In his distinguished career, Dr. Li provided technical consulting services to companies like Cisco, AT&T, Verizon, KT and Samsung, and served on the advisory boards of several high-tech startups. Dr. Li had 25 patents filed/granted and over 160 papers published in international academic archival journals and best-in-class refereed international conference proceedings. Over 20 Ph.D. students graduated under his supervision.